After the log house has been delivered, it is necessary to wait for shrinkage, it is impossible to carry out internal finishing before this point. Prior to this, planning and calculation of finishing materials. Bath inside can be trimmed with a limited number of materials offered. For the washing compartment, the dressing room, the steam room, products are used that are not afraid of moisture and sudden changes in temperature. It is best to use natural wooden lining for the steam room and ceramic tiles for the bathroom. For the rest room, hallway, you can take other materials, but choose those who are not afraid of moisture. 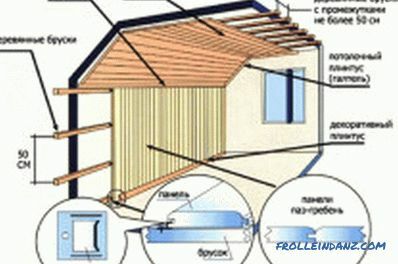 The finish of the log house with clapboard preserves the environmental friendliness and naturalness of the building. A steam room is usually finished with a paneling. The frame in this case, the inside turns out to be attractive, while the design of the walls and ceiling looks stylish. There are various options lining, but we must take those that are resistant to moisture. The thickness of the board should be up to 220 mm, laying can be done in a vertical or horizontal position. The choice depends on the height of the ceiling of the bath. If it is up to 2.5 m, then vertical stacking can be used. If the ceiling is high, then the horizontal method will be suitable, since the standard length of one board is not more than 2.5 m.
The best option would be fasteners on the batten of wooden slats. It is laid in steps of 50 cm. The necessary communications are carried out under the wall paneling, they must be protected with a special corrugation. The easiest way to mount the board is groove-ridge, in addition, each board is nailed to the crate with thin galvanized nails. Finishing of the log house from the far corner of the room begins; during the work it is recommended to use the building level so that all the rows of the board are smooth. 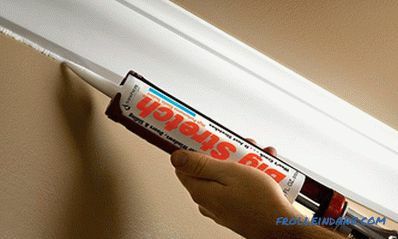 Plastic lining is suitable as an inexpensive and quick finish. This method is used infrequently, usually the frame is sheathed with wood. Plastic lining will be appropriate in the rest room. A horizontal or vertical installation method will do. The connection of separate panels among themselves should not be tight. To begin work on the design of the inner walls of the log house should be with the installation of sheathing. Thin wooden slats are used for this, they are neatly nailed to the wall with a step of 30-60 cm. Fastening is performed with galvanized nails, it is desirable to treat the strips themselves with an antiseptic. Disadvantages of fixing the wall paneling with nails. A molding is mounted after the batten, it is mounted near the floor and ceiling. It is in this molding that the end parts of the launch panels will be wound up. 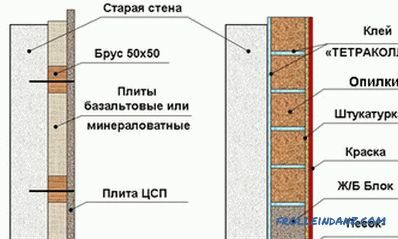 The fastener starts from the outer wall, the battens are fixed to the rails of the panel with nails or glue, and they are interconnected by the tongue and groove method. Communications can be easily hidden directly behind plastic panels. The cost of work is low, the surface is practical, easy to care for. Works do not require any special experience; they are performed in the shortest possible time. The color spectrum of the panels used is the most diverse, which allows us to make the room more attractive. Plastic is not the most attractive material from an aesthetic point of view. A log of a log can be hidden under it only if it is not very attractive by itself, has defects. The plastic is flammable, it may melt at too high temperatures. Therefore, it can only be used for a rest room, but not for a steam room. The surface is not resistant to mechanical damage. The inner lining of a log house can be not only standard, but also exclusive. 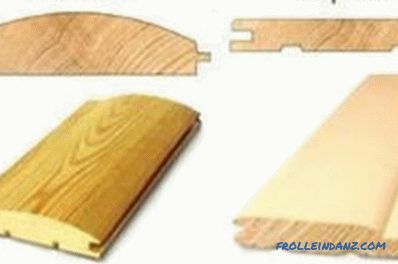 It is recommended to use solid or parquet flooring for the floor, a regular board is used for the ceiling, wooden lining for walls. 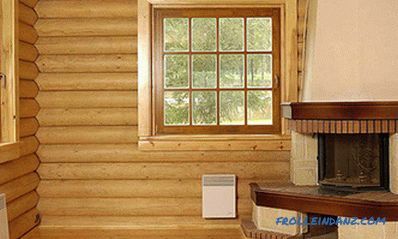 Such decoration of the log house will be stylish, comfortable, environmentally friendly. If the mount is used "in the bowl", then the inner surface is simply cleared of knots, wood fringe with a grinder. After that, the surface of the tree is covered with a special protective varnish. Electrical wiring is placed in the corners of the premises, on the floor (closed with baseboard). 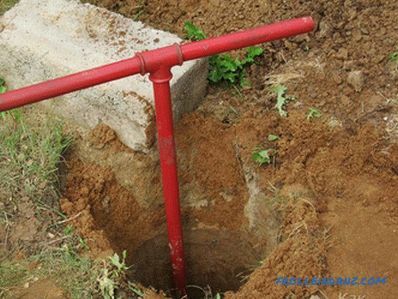 All pipes and other communications are laid under the floor. In the rest room, the walls can be not only varnished, but also covered with a thin layer of paint, using natural shades, for example, chestnut, white, cream. 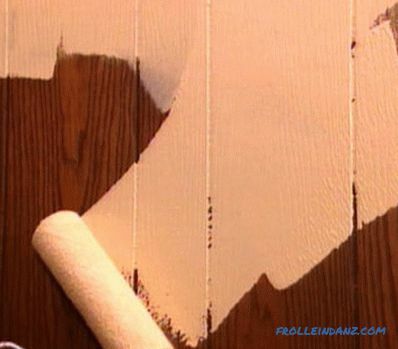 Before painting the walls it is best to putty in order to remove chips, cracks, knots on the surface of the logs. Tools required for the installation of wall paneling. the work is extremely simple and does not take much time. every 4 years it is necessary to update the wall decoration. One of the design options for the inner walls of the bath is to use a regular rope or jute. This method of finishing with jute is acceptable for buildings built according to the “in a bowl” technology. 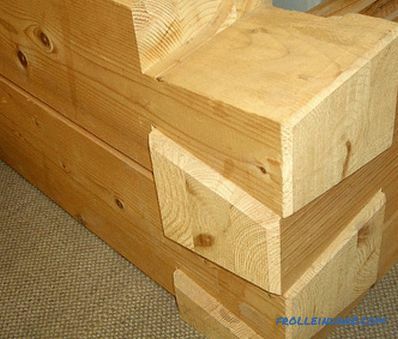 For log cabins set by another method, it is better to choose an alternative method of finishing works. The work begins after the internal surfaces of the premises are fully treated with an antiseptic and polished. It is recommended to purchase a special decorative rope for work, its cost is not so great. He fits only in the crowns, performing two roles at once - protective and decorative. The rope can provide insulation, protection from moisture and wind. The floor is made of wood, it is best to use a massive board, which, after installation, is soaked with special oil or varnished. For the ceiling, it is recommended to take wooden lining, as protected from moisture. It is best to start finishing work when the log house has settled, and the logs will dry out a bit. This happens about a year after the structure is fully prepared. The rope in the crowns is attached differently, most often special nails are used, which have plastic caps. You can use staples and glue. Before laying the rope should be carefully treated with antiseptic. Before laying the rope is measured to the required length, after which it is cut. 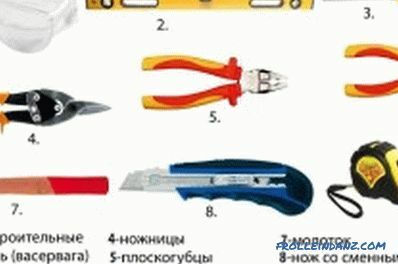 It is necessary to ensure that its edges are not disheveled. To do this, they are first wrapped with thread, then covered with a layer of varnish or glue. At the starting point of the fastener, glue is necessarily used, which makes fixing as reliable as possible. It is best to do this from the bottom corner, spreading the area with a thin adhesive layer. 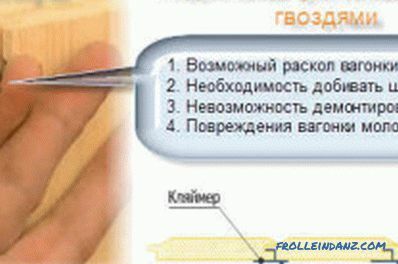 The adhesive composition is applied with a thermogun; ordinary glue cannot be used. Staples and nails can be used as an additional fixation, this method will be the best and most reliable. The rope is laid on the glue layer, after which it is fixed with nails every 15-20 cm. 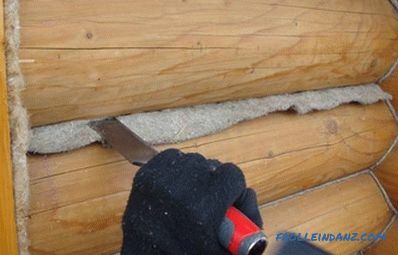 When the decoration of all the crowns and joints of the log house is completed, it is necessary to cover the wall of the log house and the rope with a layer of protective varnish. The interior of the log house is not as difficult as it may seem. In many cases, the simplest materials are used; only the surface can be painted. This happens due to the fact that the natural log, from which the walls are made, is attractive in itself, it does not need to be finished. You can use different materials for work, but remember that not all are suitable for a bath, but only resistant to high humidity, temperature drops in the room.